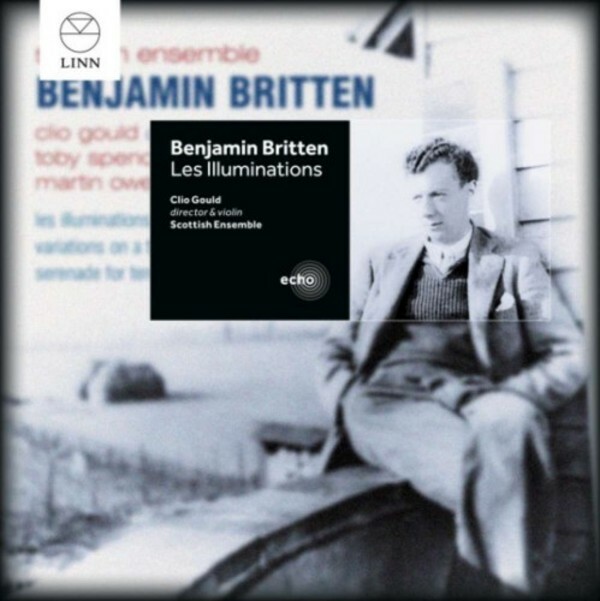 Originally released in 2005, 'Britten: Les Illuminations' has been re-issued as part of Linn�s Echo series which offers a second chance to enjoy the best of the label�s award-winning catalogue. The ensemble is joined by the Royal Philharmonic Society�s 2012 �Singer of the Year� Toby Spence, for two of Britten�s most popular song cycles. Toby Spence�s voice is ideally suited to the wide-ranging demands that Britten makes on it. His tonal freshness and acutely observed articulation of the words are absorbing. Martin Owen, whose horn playing has drawn comparisons with Dennis Brain, is equal to every one of the near-impossible tasks set him by Britten in the Serenade. Re-defining the string orchestra, Scottish Ensemble inspires audiences with vibrant and powerful performances. It is the UK�s only professional string orchestra, built around a core of twelve outstanding string players. The ensemble is known both in the UK and internationally for its versatility and ambitious programming. Performing standing up, the individual layers bring an energetic and passionate dynamic to every performance.